Meanwhile, Prudence Zuniga, a black Belizean-Canadian woman born in the 22nd century, is desperately trying to prevent Crown Prince Rudolf from committing suicide in the year 1884. 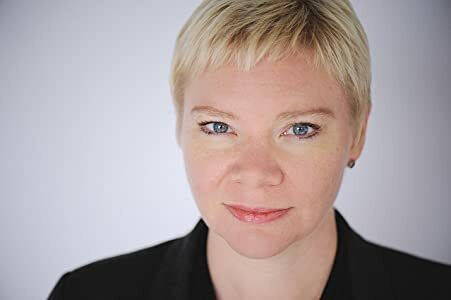 Prudence works for a time travel agency, the Teleosophic Core Command, or TCC, and one of the things they’re trying to do is prevent World War I by keeping Rudolf alive. Seventy times before, Prudence, in disguise as a servant, has failed to convince Rudolf’s lover, a dancer named Mitzi, to refuse to participate in Rudolf’s suicide pact. Unfortunately, things go wrong this time as well, and Prudence’s TCC boss finally pulls the plug on the Rudolf Project. It’s the last straw for Prudence, who kicks into a higher gear her plot to end time travel permanently. She’s seen all the ways that time travelers have changed history, and it almost always ends up worse for our world. (Given that Prudence’s sister Grace is growing plantains north of Toronto, it’s clear that global warming is one of our future issues.) But Prudence needs a helper ― either a patsy or an accomplice ― in eighteenth-century England. She initially set her sights on Jane Hodgson, the inventor, but when her path accidentally crosses with Alice’s, Prudence decides Alice will do. Kate Heartfield’s Alice Payne Arrives (2018) has three bright, unconventional women as the heart of its story. Alice and Jane, both highly intelligent women, are trying to deal with both the difficulties in their own lives ― financial, social and relationship issues ― and the discovery that time travel not only exists, but that they’re being asked to participate in Prudence’s plan, one that will affect billions of lives. The characters are appealing, and realistic with their human flaws. Alice Payne Arrives is a well-thought-out novella with some intriguing concepts. Time travel is handled in a logical way; I loved the detail that changing the past also changes everyone’s memories of prior timelines, but Prudence and her fellow time travelers are able to keep track of the shifting timelines by keeping their personal journals safe back in the Precambrian era. Some of the details with the elements in Prudence’s scheme and with the competing time travel factions are a little murky. The “Farmers” are in a conflict with the “Misguideds,” but precisely what that means isn’t explained until quite late in the story. It’s interesting to compare and contrast this novella with Kelly Robson’s Gods, Monsters, and the Lucky Peach, also nominated for the 2018 Nebula award. Both novellas have people from the future mixing with people from the past, and altering the past, though in Gods, Monsters, and the Lucky Peach it appears that the change is only temporary, while in Alice Payne Arrives, meddling with the past can have disastrous repercussions. Both novellas also have deeply problem-ridden future versions of our world, with people using the past to try to help solve their problems. Also, both are first books in what look to be ongoing series. I enjoyed both novellas, though Gods, Monsters, and the Lucky Peach is more detailed and, I think, more intriguing and creative in its world-building. Despite these superficial plot similarities, the stories these novellas tell and their main characters are quite different. I recommend both, especially to fans of time travel SF. 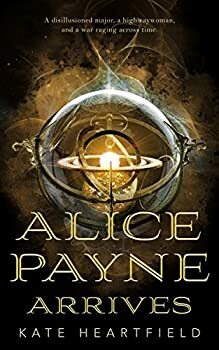 The ending of Alice Payne Arrives is quite abrupt (yet another way in which it is similar to Gods, Monsters, and the Lucky Peach), though the ending of this novella is more clearly a temporary stopping point in a longer story arc. Since Heartfield has already published the sequel, Alice Payne Rides, its ending is a reasonable stopping point. 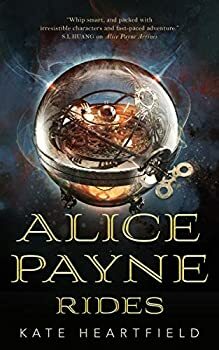 Though this novella isn’t entirely satisfying as a stand-alone read, it’s a solid setup for a longer ALICE PAYNE series, and I’m definitely looking to read the sequel as soon as I can. Heartfield has created a Goodreads page with several Kindle notes from Alice Payne Arrives; they’re worth reading along with this novella. The tidbit about the genesis of the name Fleance Hall is especially intriguing, and Macbeth fans will appreciate it. Published in November 2018. Kate Heartfield’s Alice Payne Arrives is the story of a time traveling thief turned reluctant hero in this science fiction adventure. A disillusioned major, a highwaywoman, and a war raging across time. It’s 1788 and Alice Payne is the notorious highway robber, the Holy Ghost. Aided by her trusty automaton, Laverna, the Holy Ghost is feared by all who own a heavy purse. It’s 1889 and Major Prudence Zuniga is once again attempting to change history—to save history—but seventy attempts later she’s still no closer to her goal. It’s 2016 and . . . well, the less said about 2016 the better! But in 2020 the Farmers and the Guides are locked in battle; time is their battleground, and the world is their prize. Only something new can change the course of the war. Or someone new. Little did they know, but they’ve all been waiting until Alice Payne arrives.